Its your birthday, celebrate it in style. Come aboard and let us make this your perfect day!! Take a break and make it worth it. We have many ideas, talk to us to plan!! See what a change in work space can do to your team and client. Talk to us to plan it! Enjoy the festive season with your loved ones. Come aboard! Sparkle and shine to celebrate your last night as a bachelor! Our yacht is the finest venue for the special celebrations in your life. Celebrate aboard! I would like to say a MASSIVE thank you to Archana and Patrick for being such wonderful hosts. They both were honestly amazing and the service was indescribable especially from the moment we stepped onto the boat. Everything was perfect, the weather, the boat, the people. We all had such a good laugh with the jokes, thank you once again. Thank you both so much for our wonderful charter last night for Olivia’s birthday celebration. Your boat is beautiful and with our spectacular harbour, we had a perfect evening; just as we had hoped for. It was great chatting with you both and hearing your stories of your sailing life. Your professionalism and assistance with the planning, running and preparation of the event and food etc on the evening was faultless. We will certainly recommend your company to anyone and will have the guests Like you on Facebook. We’d love to have the opportunity to charter with you again. 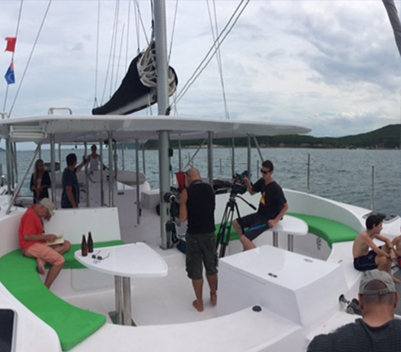 A big thank you to you and Patrick for yesterday, we all had the most amazing day aboard your beautiful catamaran! I just wanted to say thanks again for a great day on the harbour!!! My whole family had a fantastic time! Thank you so much for a great experience. We really had an amazing time.I simply loved the way i was welcomed to this new land, it was phenomenal. The entire crew looked after us like a family and the kind of food they served was superb. In one word “flawless service”. We will certainly recommend your boat to our friends and colleagues. I would like to thank them once again for their professional, relaxed manner and friendly service. We really felt at home and the staff said it was their best Xmas party ever. A big THANK YOU!! to the wonderful Archie and Patrick who made us all feel welcome and at home. We all had such a great experience and my work mates were so happy that we did the private cruise for our team building. 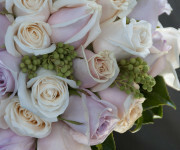 Everything went so well because of your great service and friendly advice while I was getting the event organised. 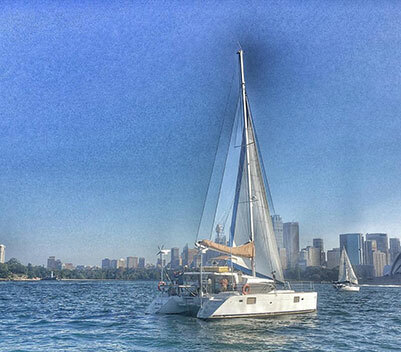 We loved your catamaran, a wonderful venue for our team building. As per my previous team building event venues they will definitely come back and do this one again even for their own private functions. Thank you so much! Loved it! A truly luxurious experience on Sydney Harbour. I have had the pleasure to be on OzCat on a number of occasions, each one being as memorable as the others. From a wedding anniversary, to my 13 year old sons birthday with his friends (overnight), Vivid Sydney and the start of the Boxing Day – Sydney to Hobart yacht race. The hosts are gracious and provide an in depth knowledge of the harbour. Patrick, enthrals you with his amazing stories of the many adventures he has had on the water, especially the one on Hestia and her journey to her new home in Sydney. Archana’s love of food ensures you are well fed (if needed) and amazing stories of her own. A must if you are in Sydney and want to spend an afternoon, day or an overnighter in the best city on Earth! Thanks Ozcat! Thank you to Patrick and Archana for being such wonderful hosts and helping to celebrate my partner Simon’s Surprise 30th birthday. Our families enjoyed themselves thoroughly! Thank you so much for such a wonderful day on board your amazing boat. Engagement, 20 friends and a big party, we loved every minute of the day. Patrick and Archana you helped make our day so special, so accommodating and welcoming. Thanks again, highly recommended. Thank you Archana we had such a great time. We all had an excellent time with excellent company and of course great food!!! Hi guys Thank you so much for a wonderful birthday. The boat was lovely and you were very hospitable. Thanks again and I have no hesitation in recommending you. Thank you both very much for looking after us on Wednesday night, it really was the highlight of our holiday. We look forward to seeing you on our next visit to Sydney. Hopefully, not in the too distant future. I just wanted to say a big thanks for a great night and both Emily and I had a really good time. 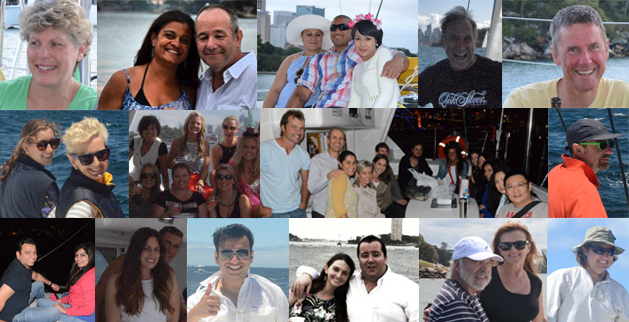 We will definitely be recommending your boat to our friends and colleagues. I also wanted to comment on the food…..superb! We will definitely be taking a trip to Last Train to Bombay soon. Hi Archana & Patrick thanks so much for a wonderful night on Wednesday. What a spectacular way to see Vivid. Cathy, Amelia, Lydia and I enjoyed it thoroughly. Your catamaran is amazing and we had prime seats up the front. I really appreciate all the assistance helping me on and off too, never thought I would be able to do it. We will be sure to book for next year. Thanks Archana for our lovely evening on Sydney harbour seeing Vivid. 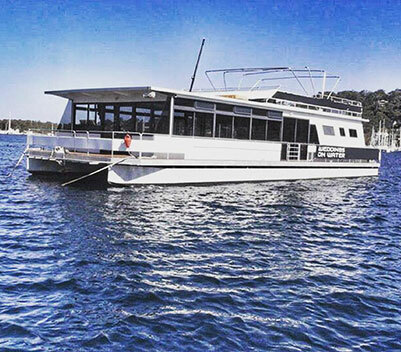 I can highly recommend Ozcat Luxury Catamaran Cruises!!! 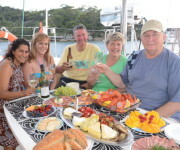 On behalf of our group I would like to say thank you for our Vivid harbour cruise yesterday evening, it was wonderful, thank you Patrick for your expertise in piloting us so close into Darling Harbour to watch the awesome fireworks, food was great, thank you Archana for spoiling us all, we could not have asked for a nicer cruise. Archana & Patrick, thank you both for such a wonderful time on your beautiful boat! WOW! What a night! I utterly adore our gorgeous city, but have never seen it shown off the way it was last night, just breathtaking! Sincere thank you for your hospitality also .. Such a magical evening.. I will be telling anyone who will listen about Ozcat and I look forward to when we will meet again – soon! What better way to see vivid Sydney than the waterways. Archana & Patrick you both are lovely and your catamaran is super luxurious. The lovely seating inside and outside, the sound system, the rope trampoline (my fav spot) and your beautiful company. We have seen Vivid Sydney for a few years now but I don’t think we experienced the best till yesterday. Thank you so much for last night’s awesome Vivid experience. We had a fabulous nite, Kiara especially, she loved that she got to hold the steering wheel. It is such a large cat and both yourself (Archana) and Patrick make it look so easy to charter, great skill. Hi Archana and Patrick, Greg and I had one of the loveliest evenings that we’ve had since arriving in Sydney – on your boat! Your vivid trip was just magic, and we can’t thank you enough for the great evening all round, and for being so accommodating with squeezing us in. Such a cool vessel you have there!!! 🙂 CHEERS!